First off, we’re proud to officially announce that the Racefully app is now Multi-Activity! 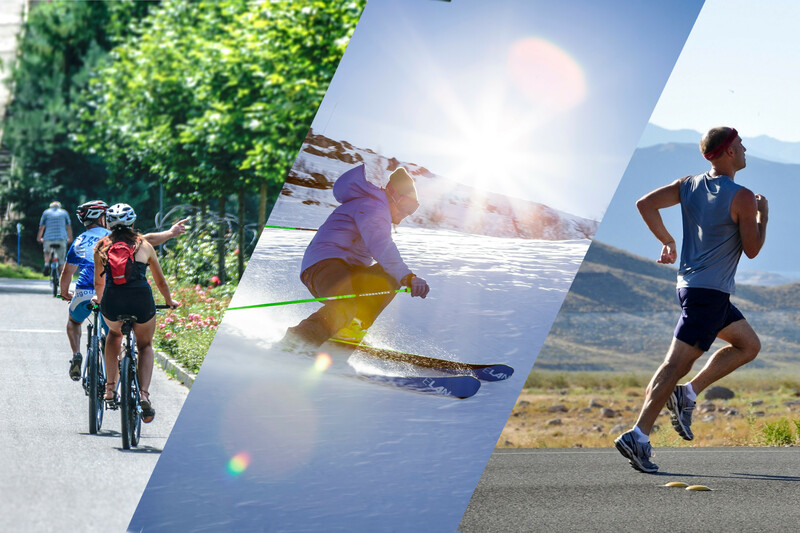 This means that as well as being able to track your runs, bike rides, and exercises socially whilst racing with people virtually all over the world, we’ve now added step-tracking, walking, skiing, and snowboarding to the activities you can track through the app. More accurate altitude measurement: we’ve increased the amount of altitude measuring sensors Racefully uses, giving you more precise statistics at the end of your recorded activities which you can use to measure your progress. New achievements for altitude gained and lost: gain achievements for navigating challenging environments! 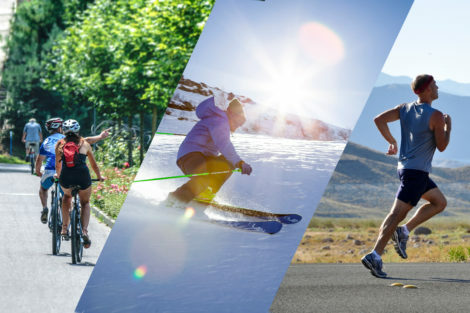 Perfect for snowsports lovers, trail runners and cyclists. Step counting: step counting makes sure your hard work never goes unnoticed. Step counting works automatically throughout the day, so you can track how fit you’re keeping even when you’re not exercising! We’ve also added a new home page view, so that you can immediately see how you’re progressing against your daily and weekly step goals. With this update you can get more out of the app than ever before, and you’ll be able to meet friends and achieve goals together whether you’re in Swaziland or Switzerland. We’re also proud to announce that Racefully has teamed up with TrainAsOne, a fitness app that provides an amazing AI run-coaching service. Racefully’s partnership with TrainAsOne allows everyone in the Racefully community who wants to use the service to synchronise their existing Racefully activity data with the TrainAsOne app, and then receive tailored AI coaching to help you reach your goals faster while reducing the risk of injury. Come and see why TrainAsOne users like Donovan W. are delighted to have “discovered the powerful combo” of Racefully and TrainAsOne! To join the AI training revolution, simply sign up with TrainAsOne and link your Racefully account to start your own fully personalised training experience. These awesome updates are Racefully’s way of saying “thank you” for supporting our app, and for being so patient whilst Racefully worked behind-the-scenes to bring you exciting, rewarding, and fulfilling features that we hope you’ll all love. We’re inspired to keep bringing you the best experience we can imagine, and we have many more brilliant ideas in the pipeline. Coming next, we’re working on tribes for step-counting and – wait for it – voice chat so you can talk with your friends, have walking meetings, and generally stay connected while using Racefully. If you would like to keep updated with the latest Racefully developments you can join our mailing list, subscribe to the blog via Blogtrottr, follow us on Twitter (@Racefully), Facebook (@RacefullyApp), Linkedin (https://uk.linkedin.com/company/racefully) or Instagram (@Racefully). If you have ideas for new features you’d like to share with us, drop us a line!